To choose a personal attending physician. To consistent delivery of care without regard to race, religion, color, gender, sexual preference, national origin, age, disability, marital status or ability to pay. To be informed of your rights in a language you understand and communicate in your native language with other individuals or providers for the purpose of acquiring or providing any type of information, treatment and care services. To be treated with consideration, respect and full recognition of personal dignity and individuality including privacy in physical examinations, interviews, discussions, services and care for personal needs. To know the identity and professional status of individuals who provide services to you and to know which physicians and other practitioners are primarily responsible for your care. To be assured that personnel providing care are qualified through education and training experiences to carry out the services for which they are responsible. To exercise your right as a patient/resident of MPH. To be fully informed at the time of admission of any proposed treatment or procedure and services available. To be fully informed through an Informed Consent of the specific service components to be provided. To participate fully in planning and implementing a Plan of Care. To accept or refuse service. To have your family member, guardian or legally authorized person make decisions on your behalf if you become medically incapable of understanding treatments and/or are unable to communicate your wishes. To have a family member or representative of your choice notified promptly of your admission to MPH-G.
To the opportunity for you or your legal representative to review or receive a copy of your medical record in accordance with Federal and Colorado State law. To CONFIDENTIALITY of service records, communications and personal information. To reasonable continuity of care and service and reasonable responses to any reasonable request you may make for service. To information and education regarding Advance Directives and to have your wishes respected with regard to Advance Directives. To receive information from your physician about your illness, the course of treatment and your prospects for recovery in terms you can understand. To receive a complete explanation of your medical condition, illness and course of treatment prior to discharge or transfer to another facility. To receive upon admission, a copy of MPH’s billing policy and receive a copy of your bill and, upon request, an explanation of any charges. To be free from verbal, physical, sexual, psychological abuse or neglect or harassment. To a secure and safe environment. To be treated with dignity, respect and compassion at all times. To voice grievances, suggest changes and communicate confidentially, without consequence, fear of disruption of services, fear of reprisal or fear of discrimination. To receive necessary instructions for home care and, when medically appropriate, assistance in obtaining care in a non-acute healthcare facility. To remain free from seclusion or restraints of any form that is not medically necessary, or is used as a means of coercion, discipline, convenience or retaliation by staff. To leave the facility even against the advice of your physician. To be advised of MPH-G’s grievance process. To know which facility rules and policies apply to your conduct while you are a patient. To treat other patients and hospital personnel with dignity, respect and consideration who have the right to be free from verbal, physical, sexual and psychological abuse. To be responsible for being respectful of your personal property and that of other person in the facility. To follow facility policies and procedures. To provide, to the best of your knowledge, accurate and complete information about all matters relating to your health including present complaints, past illnesses and hospitalizations. To report any changes in your condition and to make it known whether your clearly comprehend the course of your medical treatment and what is expected of you. To follow the Plan of Care recommended by your physician including instructions of nurses and other health personnel as they carry out this plan. To be responsible for your actions should you refuse treatment or not follow the physician’s orders. To keep appointments and notify your physician or the hospital when you are unable to do so. To notify the Business Office of any changes in financial status that may affect payment for services received. To assuring the financial obligations of your hospital care are fulfilled as promptly as possible. 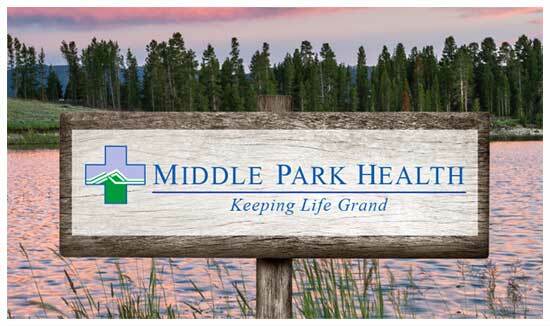 To inform MPH-G of any changes or additions to your Advance Directives. The care-taking role and individual response of the parent. Consistent, supportive and nurturing care that meets the emotional and psychosocial needs of the child, fosters open communication and encourages human relationships. Provision for self-esteem needs which are met by attempts to give the child. The reassuring presence of a caring person, especially a parent.